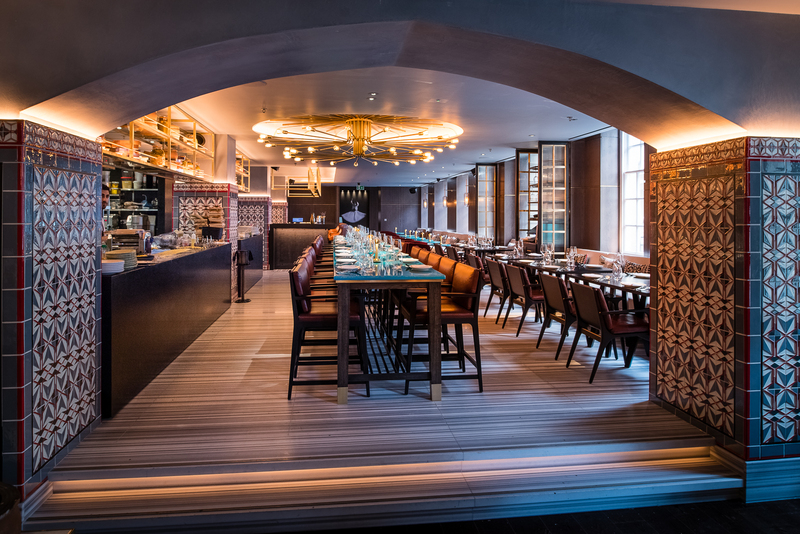 Using a range of influences from across the Anatolian region, Conran & Partners have designed the sophisticated interiors for new Mayfair restaurant, Ruya. 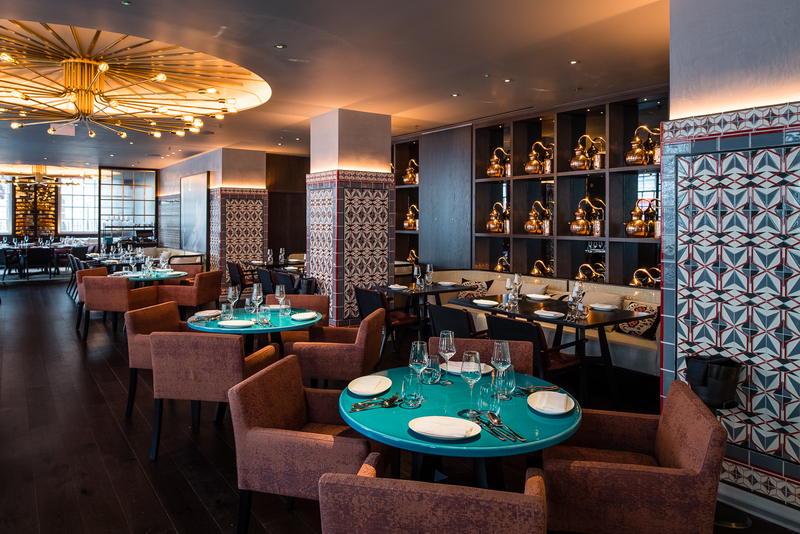 Internationally renowned design studio Conran & Partners has recently finished work on their stunning interiors for Ruya, the celebrated new Anatolian restaurant in Mayfair. 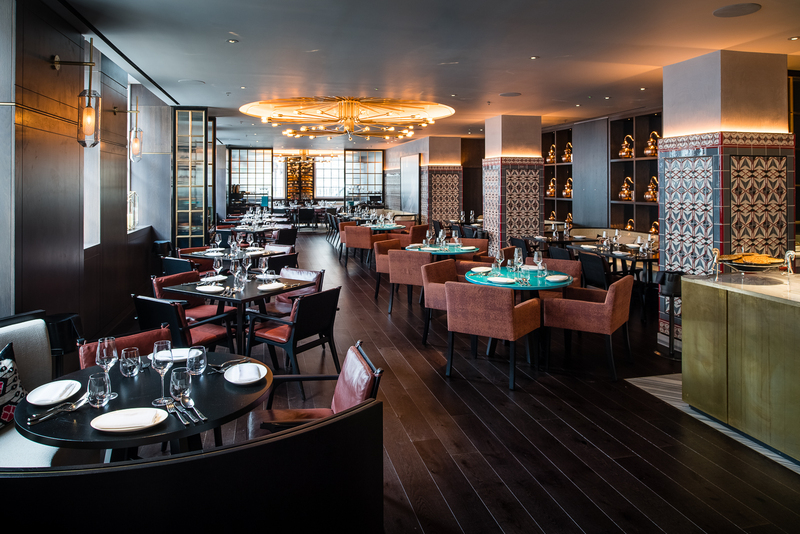 Following the success of their first restaurant in Dubai – which was also designed by Conran & Partners – the team behind Ruya have opened their second location on Upper Grosvenor Steet, tempting Londoners with a taste of sophisticated, contemporary Anatolian cuisine. Working across architecture, interiors and industrial design, London-based Conran & Partners was perfectly placed to create Ruya’s vibrant interiors; previously, they have designed some of the world’s most prestigious restaurant spaces, including London’s German Gymnasium, and Gustavinos in New York. For Ruya, the design studio set out to create an exciting, contemporary new concept that would showcase the rich heritage of Anatolian cuisine but balance this with a modern style. Ruya, which means ‘dream’ in Turkish, is made up of a lively restaurant, lounge and bar. The concept behind the menu was to explore the rich history and diversity of Anatolian food, drawing inspiration from a number of culinary traditions. With Ruya’s interiors, Conran & Partners have also used elements of Turkish history, and the way that Eastern and Western cultural influences merge within this fascinating region. The design studio has reinterpreted this range of influences into the materials, patterns, textures and colours they have used throughout Ruya. 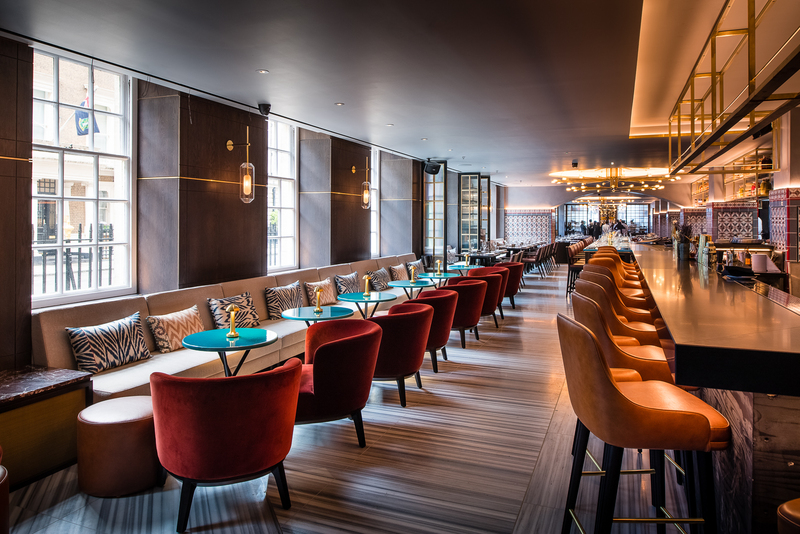 The venue has a capacity for 110 covers, and the long, open-plan space parallels a section of Upper Grosvenor Street. The outer wall, which looks out onto the street, features large, Georgian windows that fill the restaurant with an abundance of natural light. Thanks to its size, the restaurant also accommodates a variety of dining experiences; a long chef’s table sits opposite the open kitchen, perfect for large parties and sharing options. The lively bar area features leather bar stools and a striped tiled floor, as well as small azure tables and velvet lounge chairs. As diners move under an archway and into the formal dining room, dark wood flooring has been used to complement the intimate setting. Throughout Ruya, columns have been finished with contemporary, custom-designed Turkish tiling. One area of the dining room has been transformed into a bread-making station, where diners can watch a chef preparing and cooking homemade flatbreads in Ruya's built-in bread oven, including a ‘two cheese pide from the Black Sea’ – one of the highlights on the menu. At the far end of the restaurant, there is also an intimate private dining room space that can be closed off from the restaurant by two large, ornate doors.